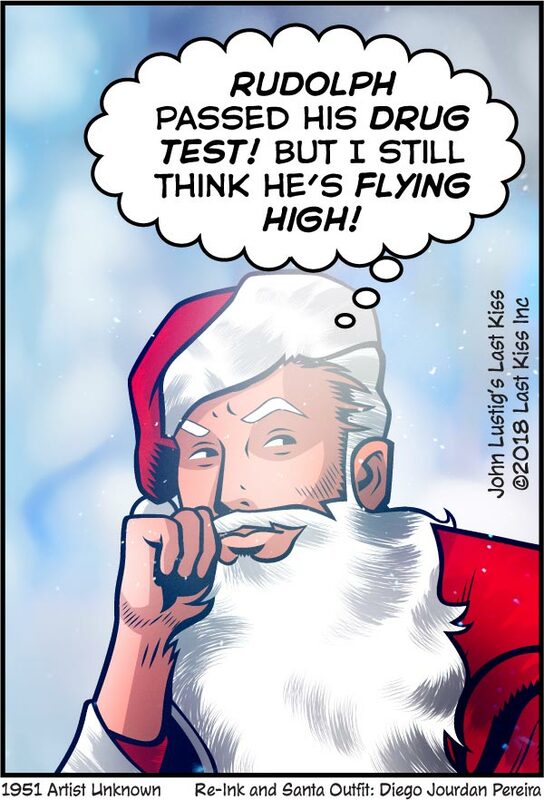 Many thanks to my pal Mike Pascale for the holiday visual transformation in today’s comic. 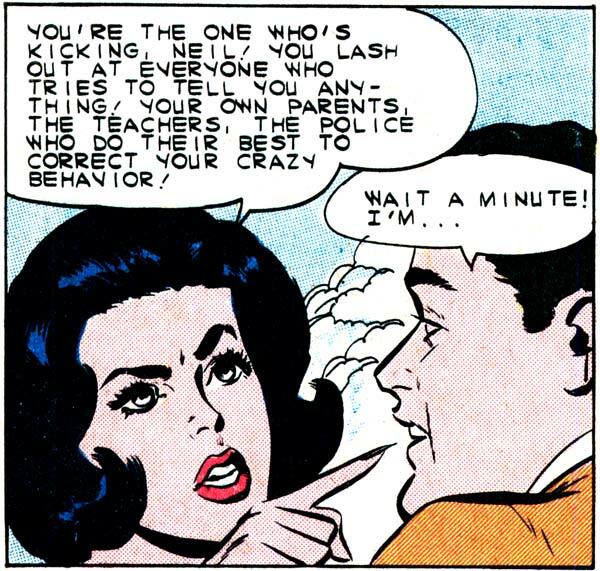 Art by Vince Colletta Studio from the story “My Outlaw Lover” in FIRST KISS #20, 1961. 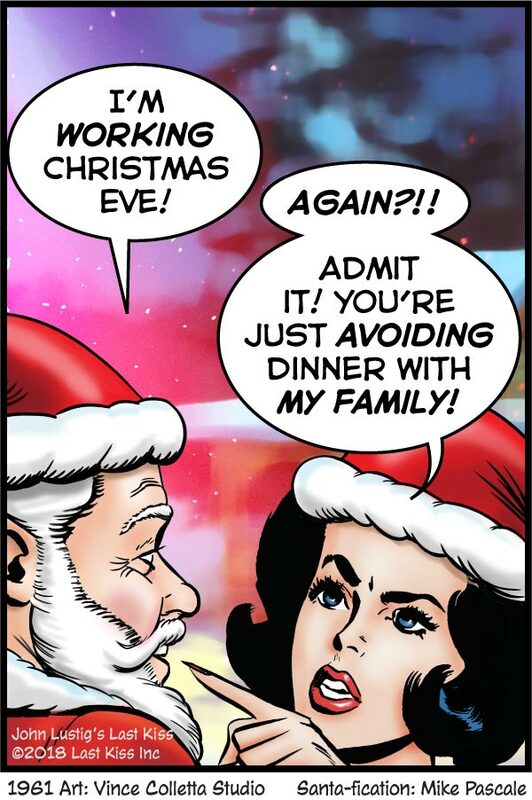 SANTA CLAUS: I’m working Christmas Eve! 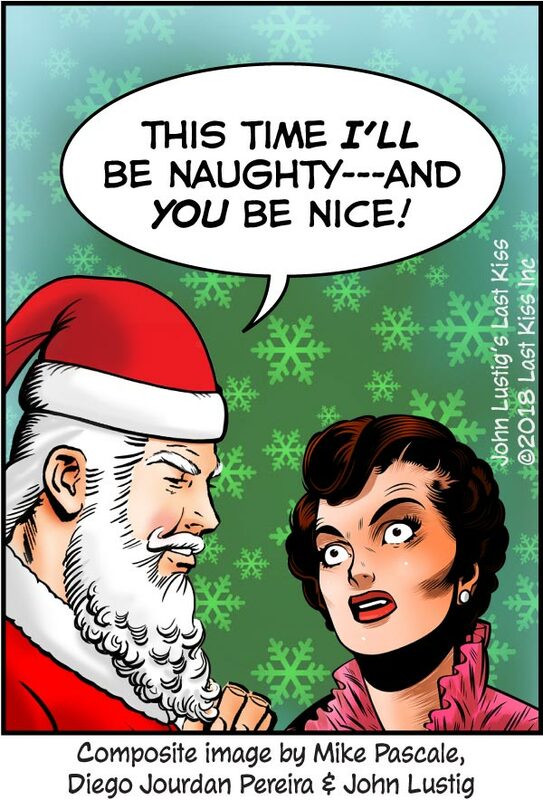 MRS CLAUS: Again?!! Admit it! You’re just avoiding dinner with my family! Artist unknown. 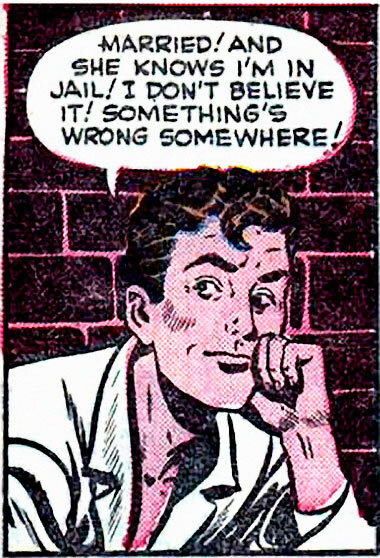 From the story “Censored” in All True Romance #2, published by Comics Media in 1951.